The senior division of the Basketball Spotlight DMV Takeover took in most of my attention. 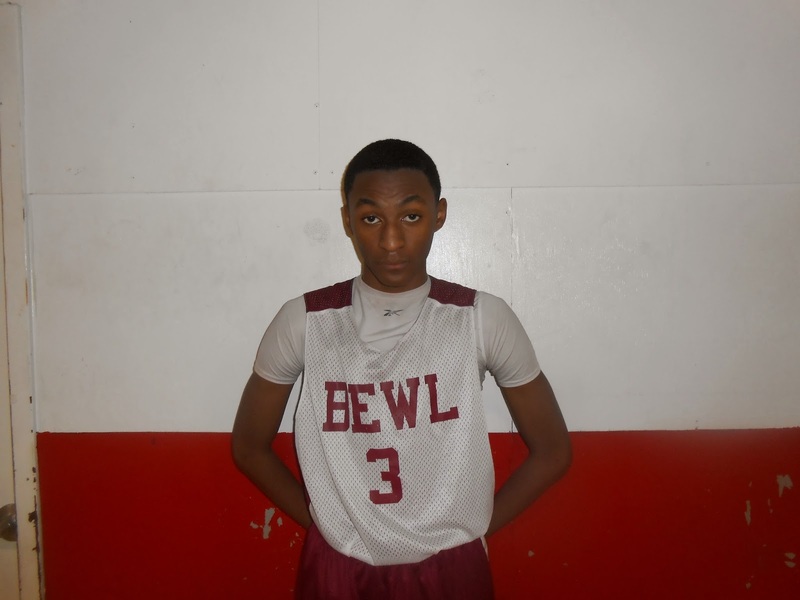 These 8th Graders brought their game and let Basketball Spotlight really see what they had. Here’s our first look at the 8th Grade top performers. Mathis has me torn because at first glance I had him pegged as a back to the basket player but as the weekend went on his perimeter game stood out. He showed his spot up jumper, step back trey, dribble drives and play making ability. He used his versatility to give the business to MB1 and Maryland Scholars in the finals where he led his squad in scoring. His specialty is breaking down the defense and finishing through contact at the tin. He was virtually unstoppable at times in Maryland. Therefore is new name is Montez "Man-Child" Mathis. 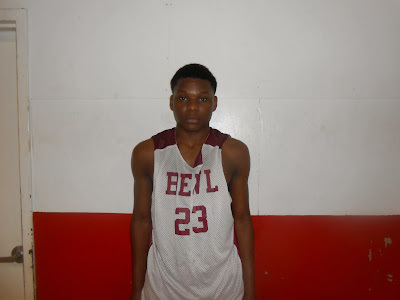 My eyes light up when I see a talented point guard so Quickly had me following his every move. His handle is like poetry in motion while he skates past defenders. He combines a great array of spin moves and tricky dribbles that makes him difficult to contain. When it comes to finishing his Elastic Man type arms stretch out to get buckets. When he’s coming full speed ahead the defense is at his mercy because his change of direction skill is so good. I couldn’t gauge his outside shot because he wasn’t forced to take many. He was the best point guard I saw at the DMV Takeover. Giles has a stocky frame but moves his feet well enough to be a defensive stopper. He continuously beat ball handlers to the spot and helped out when teammates got beat. On offense he’s capable of playing both guard positions while scoring when needed. Myers plays his role great for this club. He’s called upon to change the pace of the game while pushing the rock of the floor and attack in the gaps of the defense. He’s a fearless competitor who doesn’t mind matching up with the go to man from the opposing team. Each game I see Madison run the point it’s hard to believe he was an inside power player a few years back. Yes the kid has made the transition and used his skills to help the Sports Scholars knock off heavy weight Team Takeover in the semifinals. Madison is still learning to set up teammates but can still switch to scoring mode when required. His strong frame allows him to get anywhere on the floor at any time. Madison could lean on Brown for scoring because the southpaw puts the ball in the hole quickly. He can kill you in transition by racing to the cup or stepping out burying the trey during the secondary break. He’s capable of putting together eight points very quickly. Mustipher was absent from the MLK Classic so this was my first look at the youngster. The big fella is very nimble on his feet and has a feathery touch to finish the job. He showed me good footwork and post moves around the cup. He will be one to watch moving forward.